Your home needs to be a place that you and your family can always depend on for comfort, security, and relaxation, but your home can't provide you with those things if your plumbing system isn't in great condition. Even small plumbing problems can be extremely frustrating, so when you need to have any part of your plumbing system or plumbing fixtures worked on in any way, you need a professional who you know you can trust with the job. At RMW Plumbing Services, our professional plumbers understand how important your plumbing system is to your home, so we work heard to provide you with the highest quality service possible at every job that we perform. Our plumbers are all licensed professionals with extensive training and experience, and we've been providing our plumbing repairs, installations, and maintenance services to homeowners in the area since 1993. We've consistently provided our clients with the highest quality workmanship and professional customer service possible at every job, which is how we've earned our reputation as one of the most trusted plumbers in the area. Whether you need routine maintenance or intensive repairs, you can always rely on our professionals. When you need any plumbing work, never hesitate calling the professionals at RMW Plumbing Services. Our plumbers are always ready and eager to help you solve any problems that you encounter with your plumbing system. We understand how important your plumbing system is to your daily life, and we know that any problems with your plumbing can be major disruptions. We'll work hard to repair any issues as quickly as possible, but we'll never let the speed of our work get in the way of high quality workmanship. We'll be able to diagnose and repair the plumbing problems you're experiencing thoroughly and accurately. When you're in need of any kind of plumbing repairs in Douglas or Arapahoe County, you can always rely on our professionals. From water heater repairs to new tankless water heater installation, our team of expert plumbers have the tools and skills needed to take care of your water heating needs. Our plumbing company also carries a variety of top rated water heaters, ensuring you get the system you want for a great value, should you be in the market for a new hot water heater or need a replacement. Some of the brands we carry include American Standard, AOSmith, and Rinnai. When your pipes and drains become clogged or blocked, it can have a terrible effect on every part of your plumbing system. Many homeowners will immediately grab store-bought drain cleaners to try to fix the problem, but these can be ineffective—they may even cause more damage to your plumbing system. Our professionals can provide high quality drain cleaning services to help your drains flowing as efficiently and effectively as possible at all times. 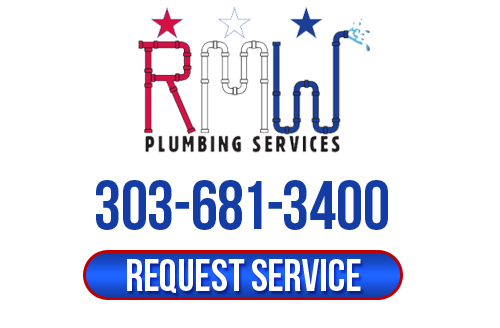 With over twenty years of experience as a local local plumbing company in the Douglas & Arapahoe area, RMW Plumbing Services is able to guarantee the highest quality workmanship and most professional customer service possible to each of our clients. Our qualified plumbers will do whatever it takes to make sure that your plumbing system is in great condition and that you're totally satisfied with all of the work that we provide. RMW Plumbing Services is constantly recruiting qualified plumbing technicians. We're looking for career-minded individuals who would be excited to join an experienced team. We offer a company truck, cell-phone with a card swipe, and uniforms & laundry service. During parts of the year, we also offer service-essential classes to our most dedicated technicians. These classes are out-of-state, and we pay for the flight, hotel, car rental, and training. Our team is friendly, well-paid, and appreciated. By joining our team, you can enjoy the benefits of a growing, successful company that has been in business since 1993. If you are looking for a Douglas & Arapahoe County plumber then please call 303-681-3400 or complete our online request form.